This is a collaborative research program funded by the Commonwealth Marine Economies (CME) Programme, that will see NOC scientists working alongside those in the Coastal Zone Management Authority and Institute (CZMAI) in Belize, the University of Belize, and the Centre for Environment, Fisheries and Aquiculture Science (Cefas) in the UK. Globally, coral reefs are estimated to be worth around 9.9 trillion US dollars, and the Belizean coastal zone as a whole has been estimated to contribute over 350 million US dollars per year in services to tourism, 16 million US dollars to fishing, and 347 million US dollars to coastal defence protection. Information being generated through this new project will be included in a coastal zone management policy review planned next year by the CZMAI - thus the outcomes will facilitate informed evidenced-based policy geared towards balancing the tensions between different activities and services within the coastal zone, and conservation of the vital ecosystems services it provides. 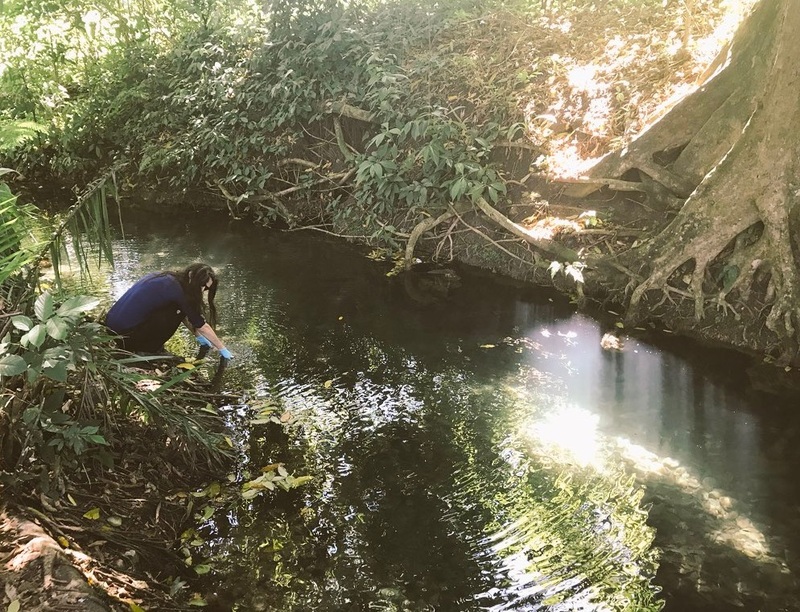 Planned activities involve comparing samples of river water taken in pristine natural environments with those taken from rivers flowing in areas that have undergone changes in land-use patterns, such as dams or deforestation. This will help inform decision makers about the impact of these changes in land-use on the quality of the water in rivers. To assess the impact of changing land-use on the coastal ocean, the team will use a robotic unmanned boat to conduct water quality sampling. This robotic boat is part of the CAMEL (Containerised Autonomous Marine Environmental Laboratory) package of marine equipment, which also includes a mini Remotely Operated Vehicle (ROV) that will be used to visually assess the impact of changing ocean quality on the health of coral reefs in the area. The NOC is also working with local stakeholders to install autonomous monitoring infrastructure in strategic locations to characterise changes in marine conditions such as ocean acidification, nutrients, and oxygen levels that may lead to increased stresses on the coral reefs.